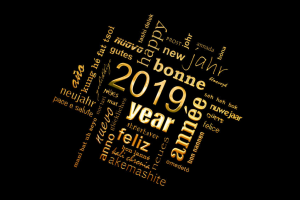 HomeOur Blog3P INSTRUMENTS wishes a great start into the new year, healthiness, and joint success in 2019! Almost every month this year we will welcome European partners at our quarters, among them several former Quantachrome distributors. It is great to see that you can still stay connected businesswise in today’s time after many years of cooperation. In our “year of change” 2018 not only a multitude of customers stayed with us, but they furthermore placed their trust in our new analyzer series. We can promise already that we will continue to surprise with more new developments in all three areas of the characterization of particles, powders, and porous materials. Regarding particle size analysis we will offer you a wide array of possibilities to get to know the triumvirate Bettersizer S3 Plus, Bettersizer 2600 and Bettersizer ST. The innovative technology of the Bettersizer S3 Plus enables your lab to measure particle size and shape simultaneously by laser diffraction as well as dynamic image analysis. Gladly we offer you free test measurements of your samples. The mixSorb‑series for realistic sorption measurements of MOFs, charcoal, zeolites and other adsorbents can be combined perfectly with our new 3P sorption analyzers for standard surface and pore investigations. And for catalysis scientists we have a special surprise: just stop by at our booth at the catalysis conference in Weimar! All the best for the new year 2019, stay healthy and faithful to us! We promise continuing customer friendliness and support for all your problems.